Hey hey! So.... we were "assigned" (as if it's a chore!!! 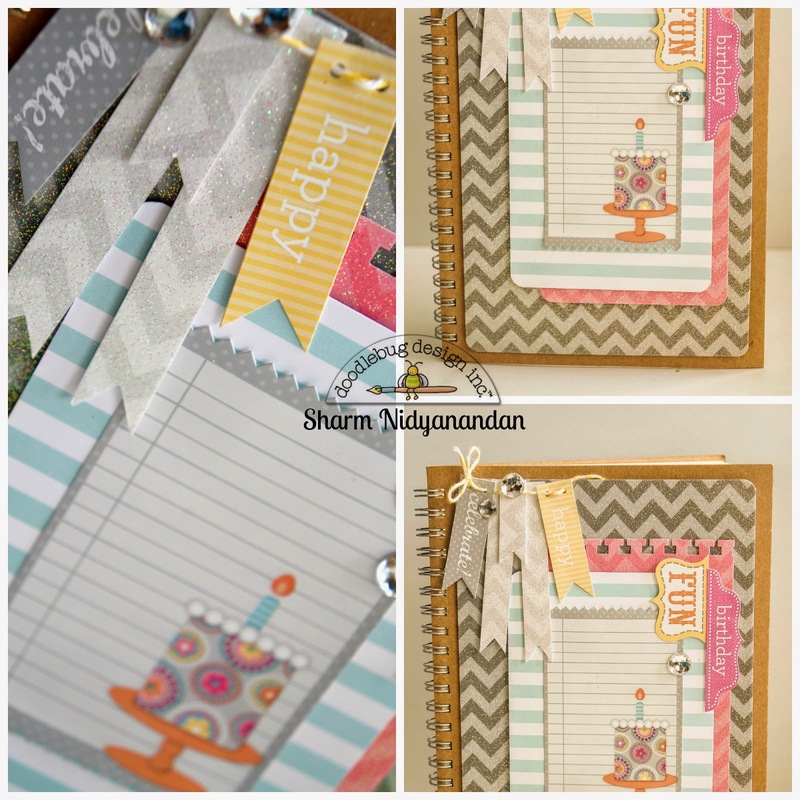 ;)) sugar coated chevron card stock to play with this time! I have had these cut files at the ready for a little while now and couldn't wait to put something on the girls' room door to identify it as both of theirs. I love ampersands so I had to get one of those in there too. 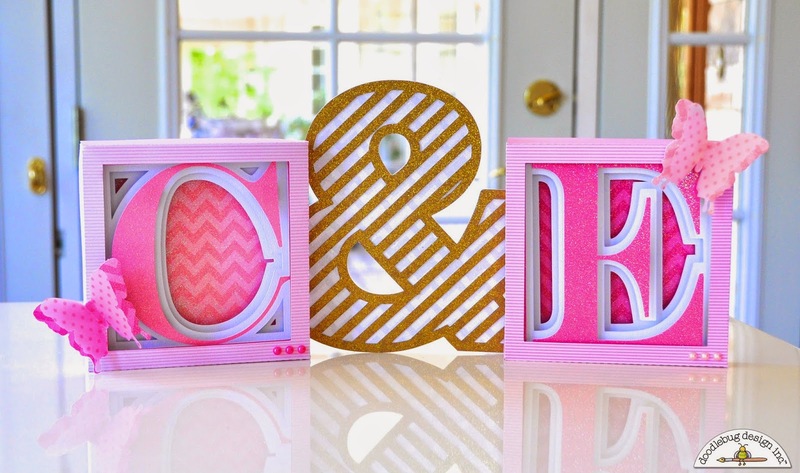 :) Courtney from Court's Crafts here with a little door decor! My girls' names are Emmaline and Charlotte and I am totally enamored with everything "sisterly" as I was an only child. 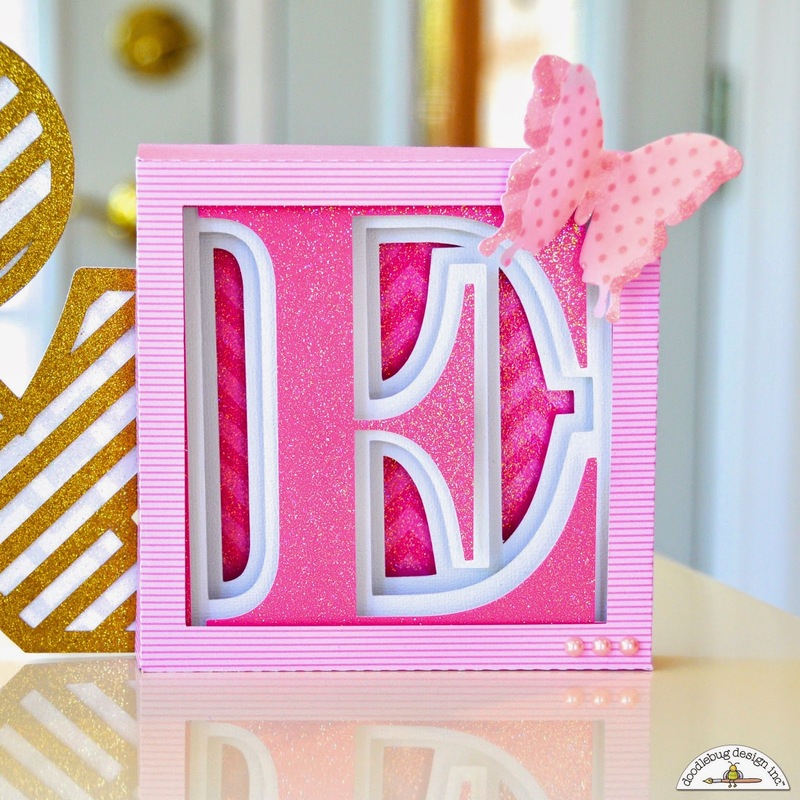 I wanted to make their monograms equal and opposite and since doodlebug makes everything in their "classic colors", I was able to do just that! 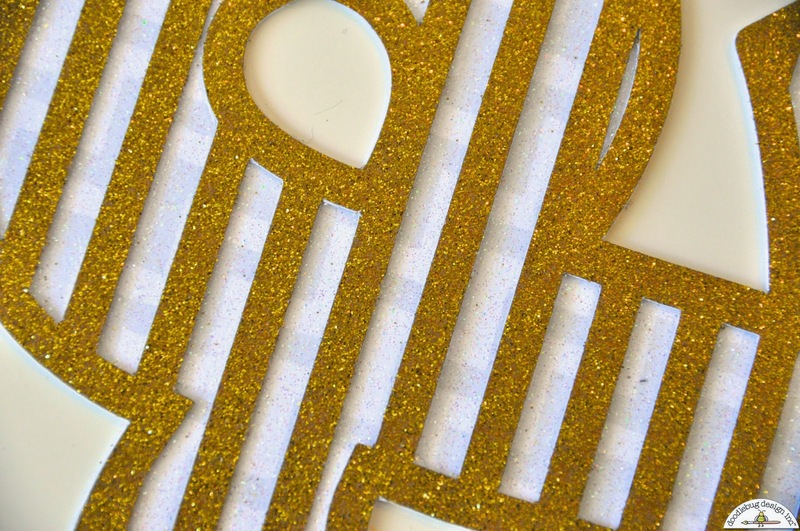 And if you look closely - behind the gold - is tone on tone white chevron card stock. I love butterflies and their room is very "nature" themed and I thought that the spinkles vellum would look cute on top of the chevron so I double cut the butterflies and adhered them at the thorax. Lastly, I added three pearls for accent at the bottom right of the letters. Here it is on their door! I had to get a picture so that you can see just how sparkly the sugar-coated card stock is. I know that when I see glittered card stock I am sometimes not too impressed with the amount of glitter on the card stock. I like it to SHINE! 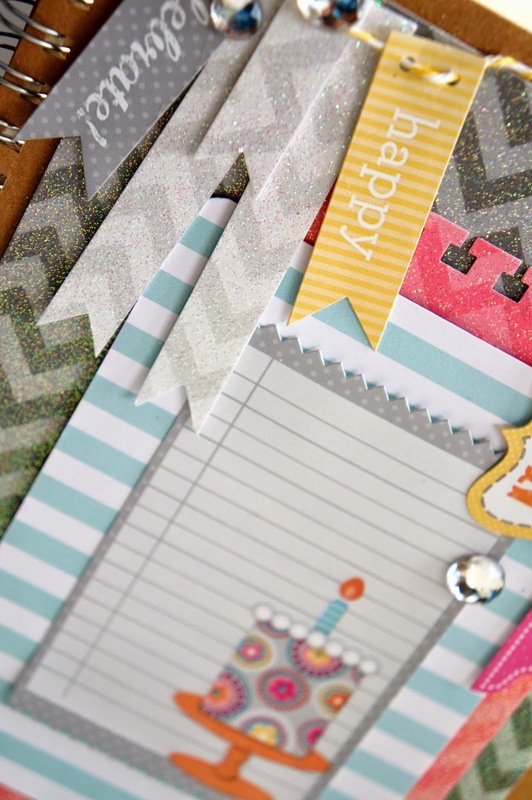 And no surprise here - doodlebug card stock does just that! Check. Out. That. Glitter! This is Court's Crafts signing out! Have a beautiful day! Recently, we celebrated both our little girls birthday. What I wanted to make was a little notebook where our guests could pen down their message for my little girls to ponder upon when they're older. 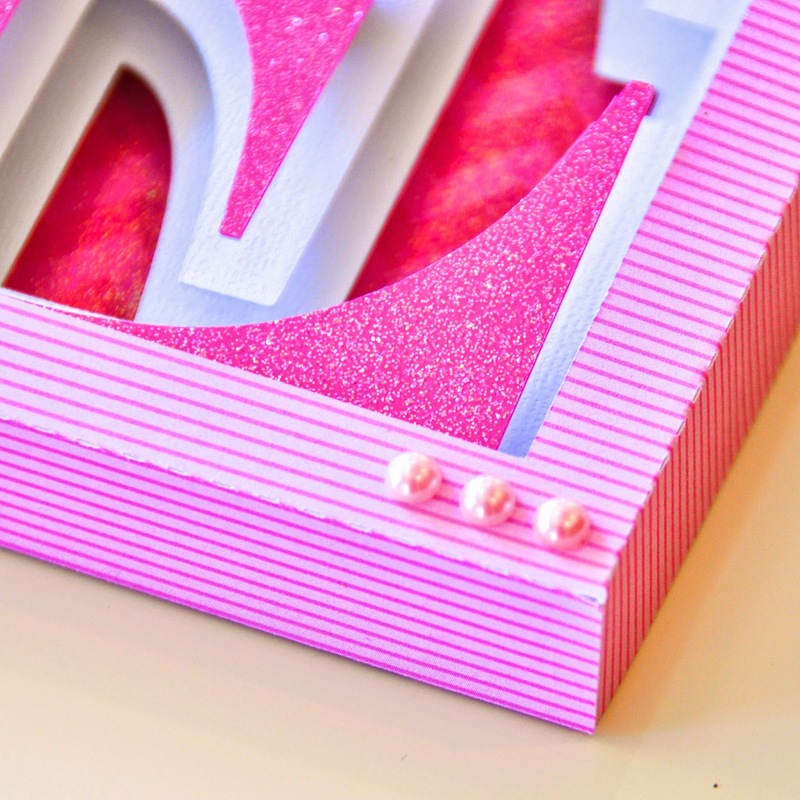 As with every little girl's birthday, all things glittery is a must :) So what I did was, to alter a little book that you can get from any dollar store and bling up the front cover with the very lovely chevron cardstock. 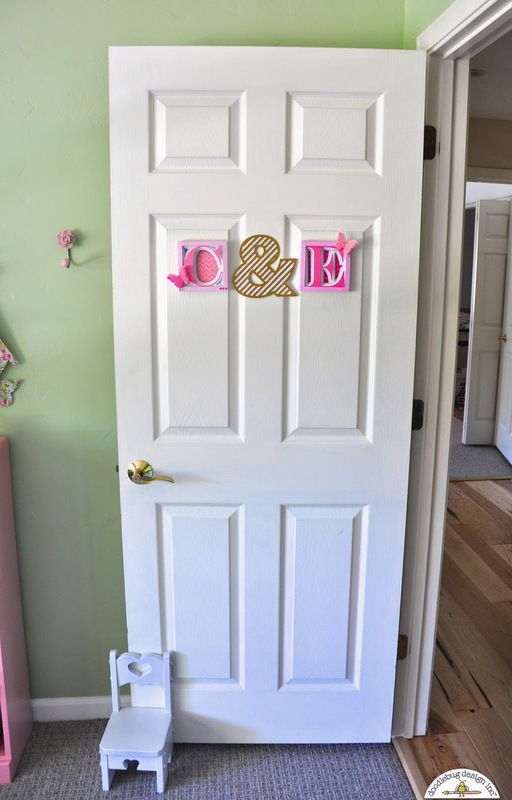 Emmaline and Charlotte must have the SPARKLIEST and PRETTIEST bedroom door in the whole world - LOVE DELIGHTFUL dimensional monograms you created Courtney!!! 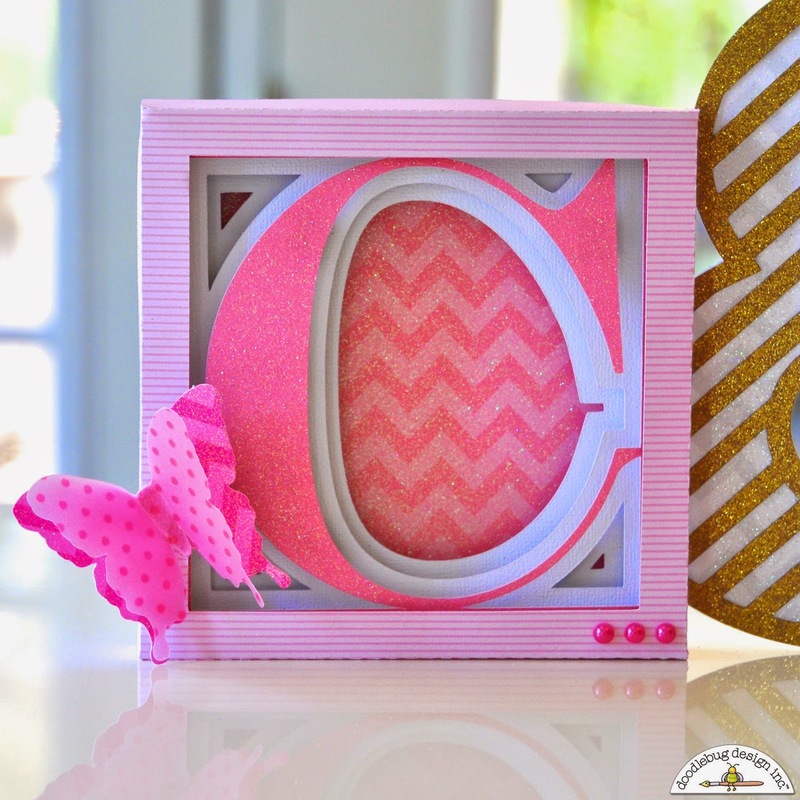 BEAUTIFUL birthday book and what a lovely way to make special memories for your daughters too Sharm!!! Love those decorative door pieces! So much fun! These projects are beautiful! 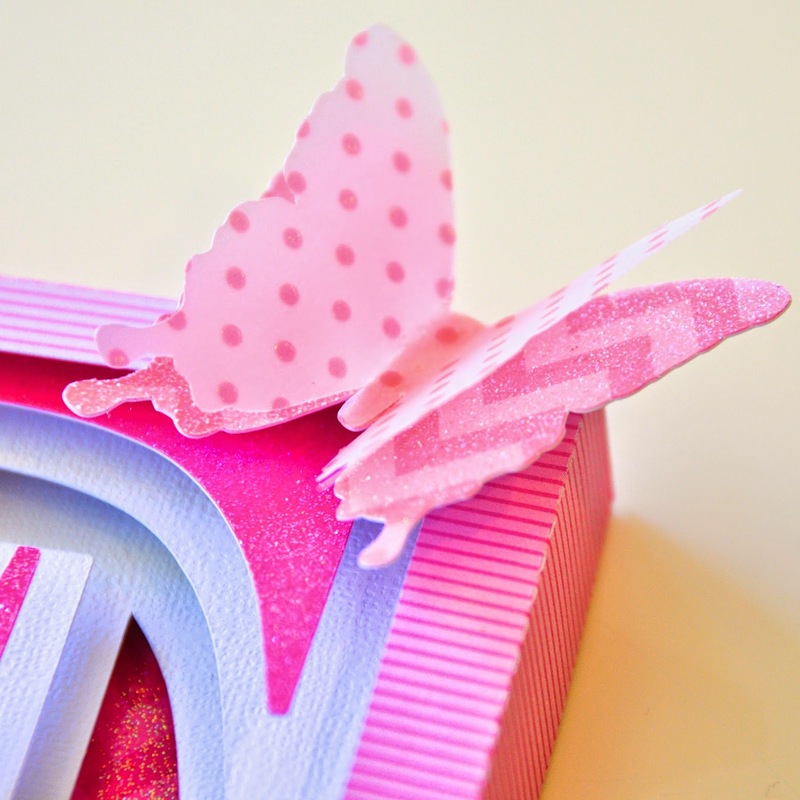 I love the glittery butterfly and the journal cover is so pretty! 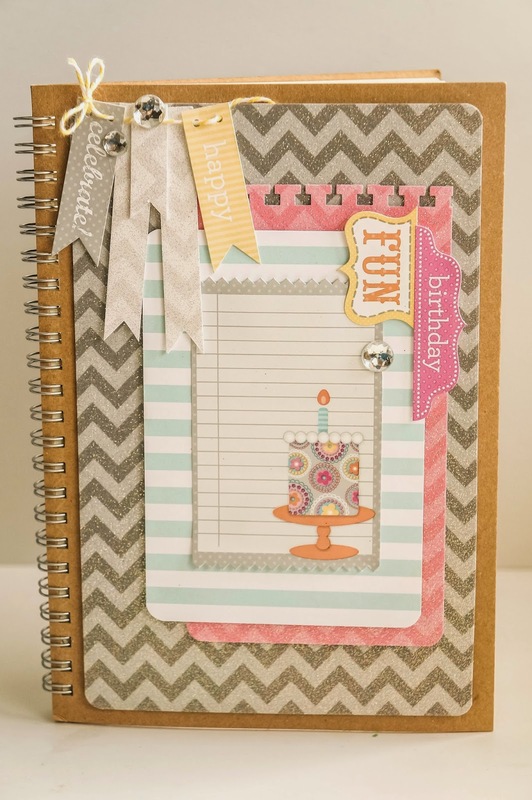 Love the chevron papers. The gold glitter is beautiful. Great ideas. WOW, love the door decor! that is just awesome. Oh, Sharm, way to go!! You took that notebook from drab to absolutely fab!! Thanks for showing us that the chevrons could be used like this!! Also You glammed up that notebook awesomely!! And Court, oh my goodness, what lucky girls to get to have such bright, sparkly, and just plain fun door decorations!! 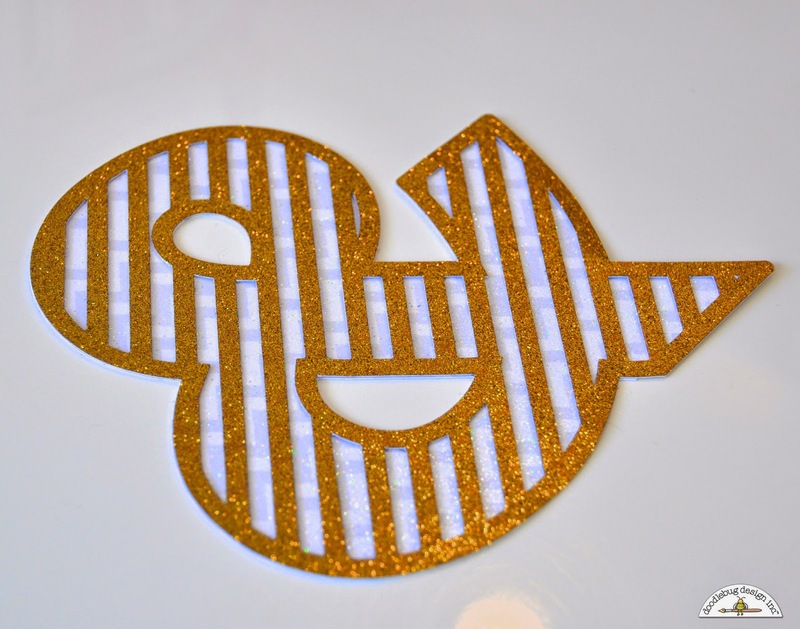 You did a really great job and the gold ampersand really is COOL!! Both projects are simply adorable! I really like the monograms project.